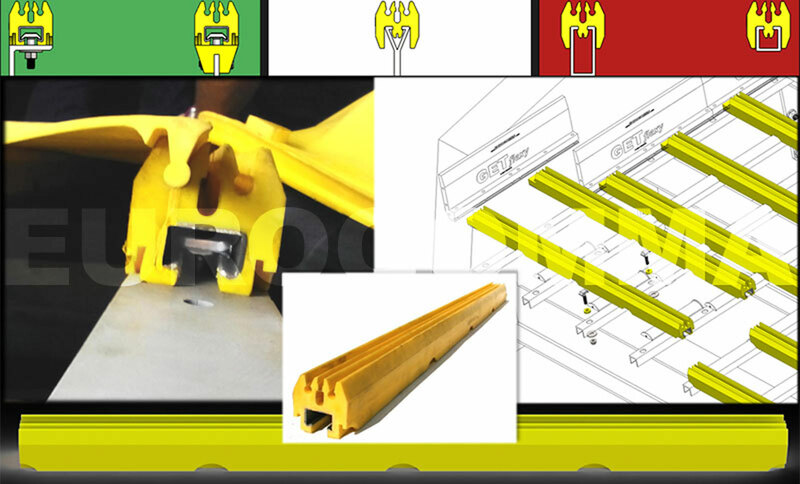 GET flexy clamp bars are installable on every screen deck configuration. 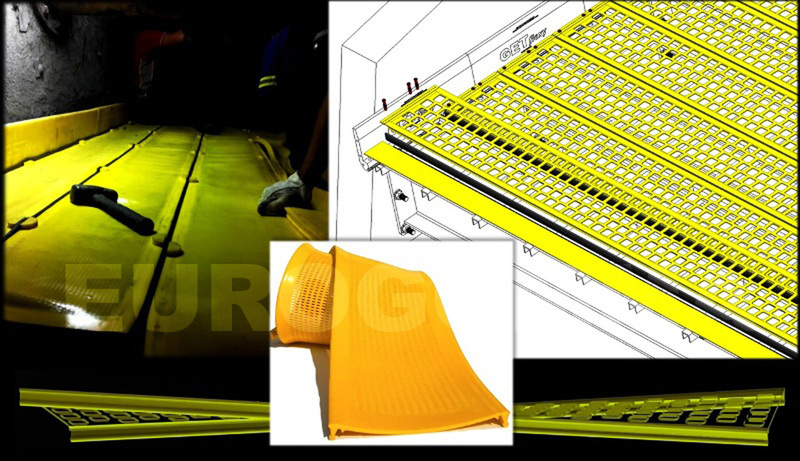 GET flexy screen panels sit in clamp bars to create a high efficiency and non blanking screening unit. 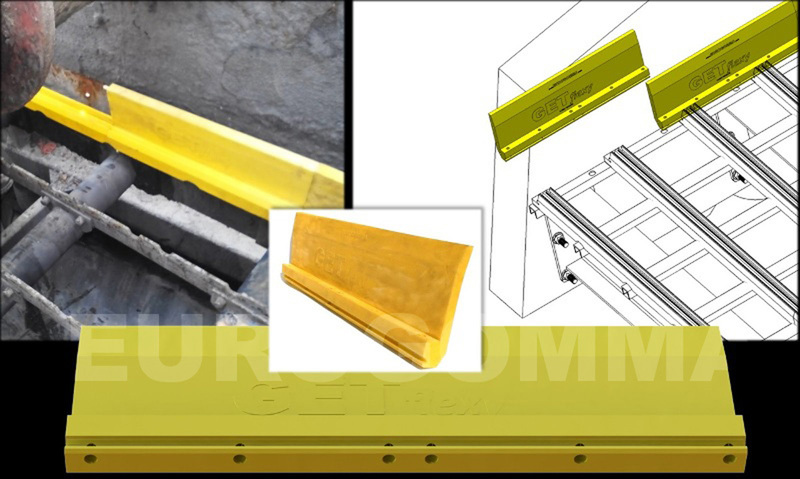 GET flexy clamp bars permit to transform every screen deck into an elastic screening system. Just remove previous modular screen panels from your deck and install GET flexy clamp bars. GET flexy lateral bars protect the deck walls from wearing and abrasion. In inclined screens GET flexy clamp bars have also the task to keep the edges of the screen panels in position thanks to the usage of Lock-out pins. GET flexy screen panels are the essence of the screening system. Their elasticity, flexibility and high open area are the reason why GET flexy can offer tremendous efficiency improvement. These characteristics make GET flexy a screening system free from blanking and blinding problems with any kind of material.